Welcome to the ‘about’ page of our website. If you have landed on this page directly you may want to have a look at our home page first by following this link. You can also see suggested itineraries by clicking here and descriptions of recent tours by clicking here. Read on to learn more about what we offer and also about Laurence, our guide. What do we do? Oldbury Tours offer bespoke Stonehenge and Avebury guided tours. We aim to provide unique experiences and create lasting memories of your visit to this exceptional area. 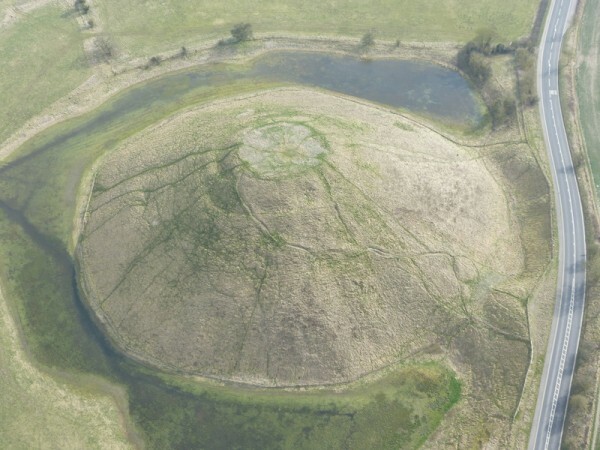 Much of the landscape of this part of the UK is still modeled to the designs of ancient peoples. Great monuments stand proud in beautiful surroundings testament to the ambition, skills, determination and beliefs of long vanished cultures. 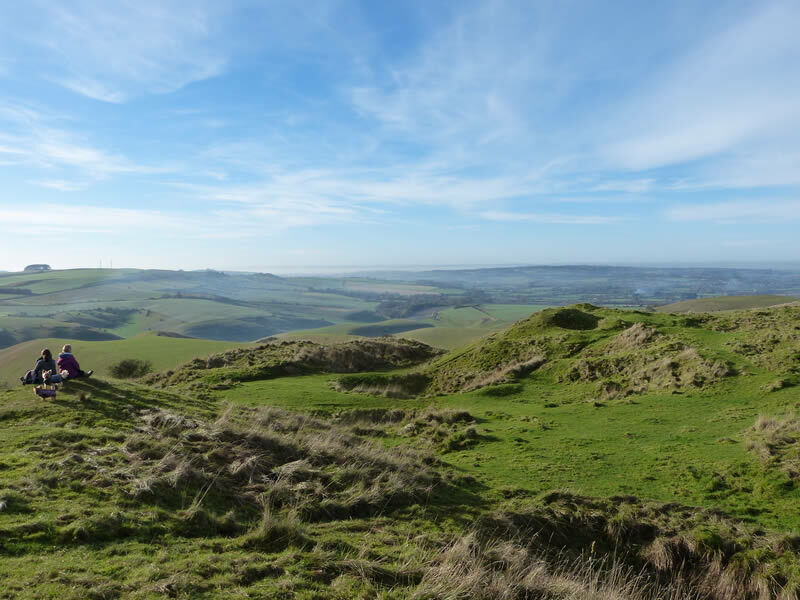 On our Stonehenge and Avebury guided tours we will introduce you to the countryside and its story as told by these remnants of times past. 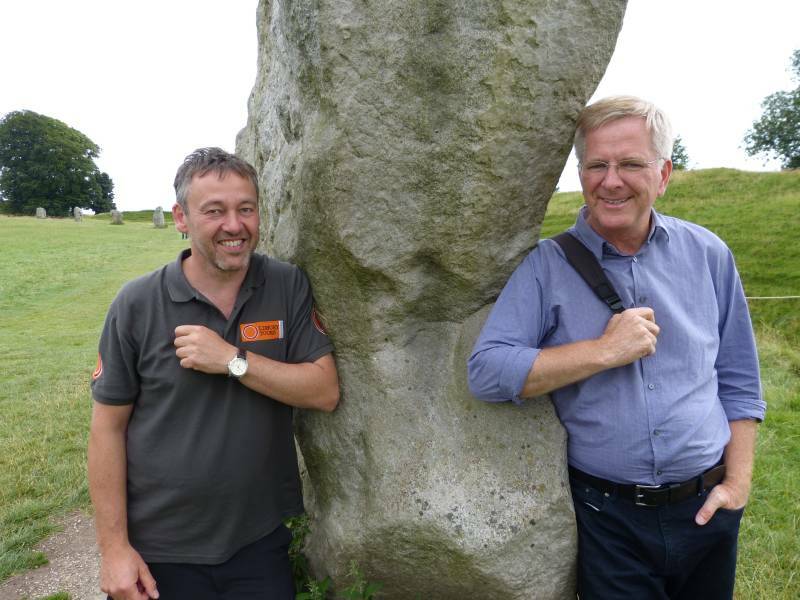 For good reason people want to visit Stonehenge and Avebury but there is a wealth of lesser known monuments within the UNESCO World Heritage Site. 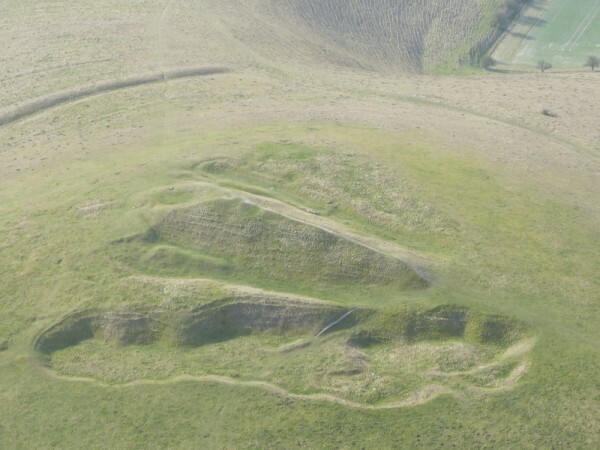 These include West Kennet Long Barrow and Silbury Hill most famously. 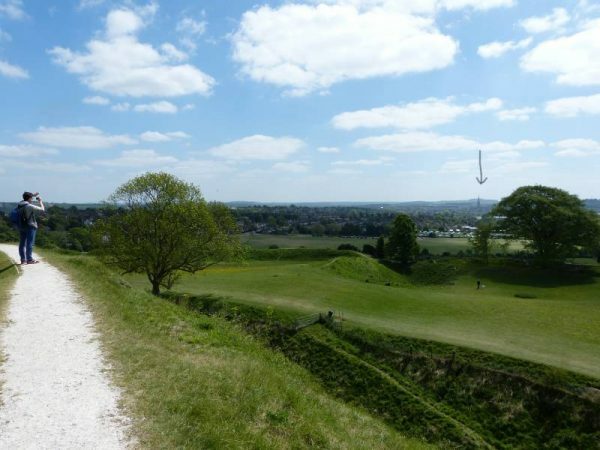 Additionally there are The Devil’s Den, Windmill Hill, Knap Hill, Adam’s Grave, the Sanctuary, the Stonehenge Cursus, Woodhenge, and Durrington Walls to name a few. 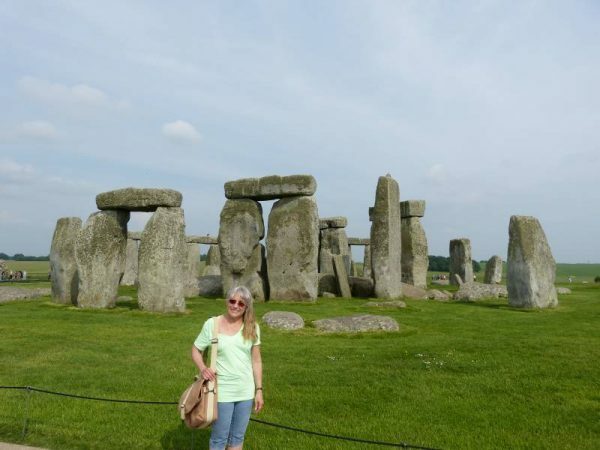 All of these monuments date from the Neolithic period, the period that includes Stonehenge and Avebury. The countryside between the two world famous monuments is simply littered with these unique prehistoric sites. While seeing Stonehenge and Avebury is an absolute must their story is not complete without exploring the surrounding area. 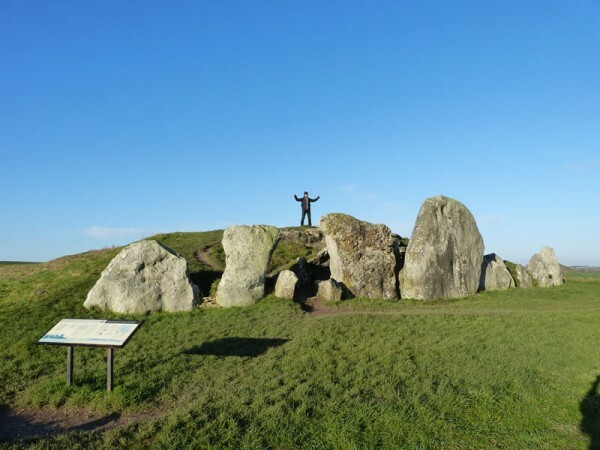 The fascinating places we explore on our Stonehenge and Avebury guided tours are all intimately linked. Combined they tell the story of 4000 years of human history before the Romans even turned up. An experienced guide greatly enhances your enjoyment and appreciation of this exceptional part of the world. Read more on why we believe you need to hire a guide. I grew up in Wiltshire and despite living in London for some years have always considered it home. My parents moved from my birthplace of Liverpool to Marlborough in 1969 just after my 3rd birthday. Growing up in a musical family I was surrounded by my twin passions, music and the Wiltshire landscape. The outdoors was always the playground of choice for me and my older brother Harvey. We were often up early to fish the Kennet and Avon canal or river Kennet, for instance. We would go metal detecting around Marlborough and spent the summer months cycling and roaming the countryside. The landscape had an enduring and indelible effect on me. I loved the huge open skies, the changing light and the ever present lumps, bumps and stones. The burial mounds and stone circles particularly intrigued me. I was fascinated by these very tangible and accessible remnants of remote times. By the age of 14 I was a boy at the marvelously British establishment of Marlborough College. My dad was a member of staff in the music department there and Kate Middleton is a more recent old pupil. When asked to do a history project on a subject of our choice I had no hesitation. Mine would be about Wiltshire’s prehistory. My project was entitled ‘Walking the Ridgeway’ and was a study of the ancient ‘road’ and the surrounding landscape. I discovered then that the best way to understand your subject is by physically getting as close as possible. With my father I walked the 45 miles of The Ridgeway in 3 days. 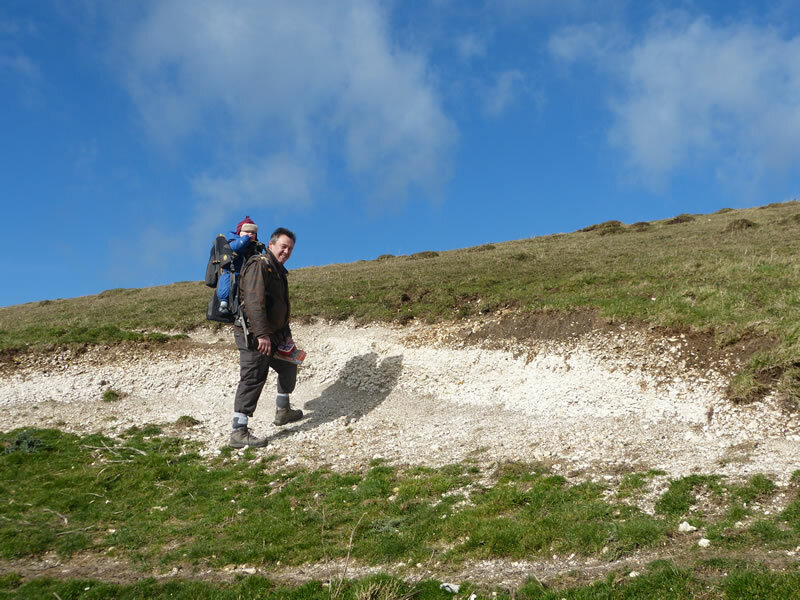 The ancient path runs along the top of the chalk escarpment from Overton Hill to Streatley on the Thames. The Ridgeway itself is therefore a fascinating subject in its own right. 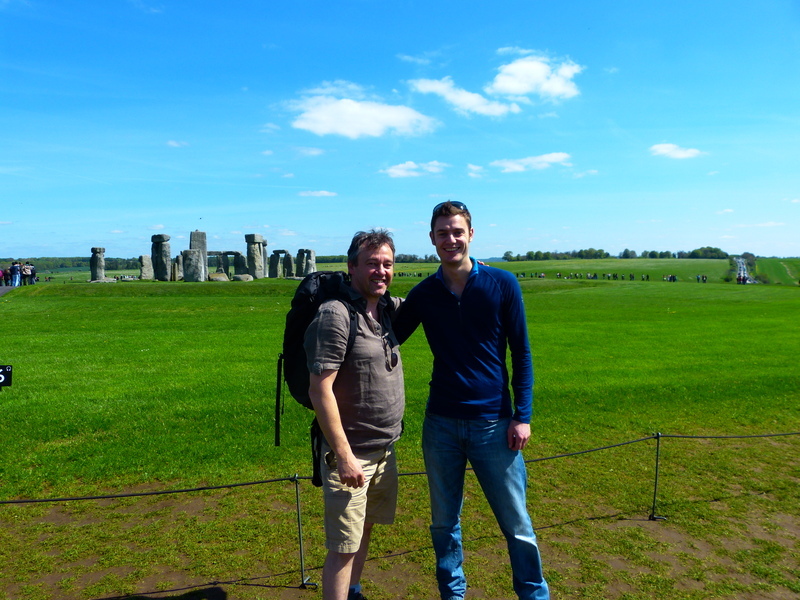 Moreover, we visited all the major archaeological sites it passes. As a result I was hooked on the subject. It was my proudest achievement both physically and academically for some years to come! I still believe that experiencing the landscape on foot gives you the best chance of understanding how past people used it. A few years ago I ‘went back to school’ as my wife Sian puts it. Combining a music career with studies I gained my BA from the Open University in 2013. My modules were all in archaeology and the history, society and mythology of Classical Greece and Rome. I have continued my research by reading the most relevant books, texts and publications regarding prehistoric Wiltshire. I endeavour to keep abreast of all the new discoveries, theories and science in my field of interest. 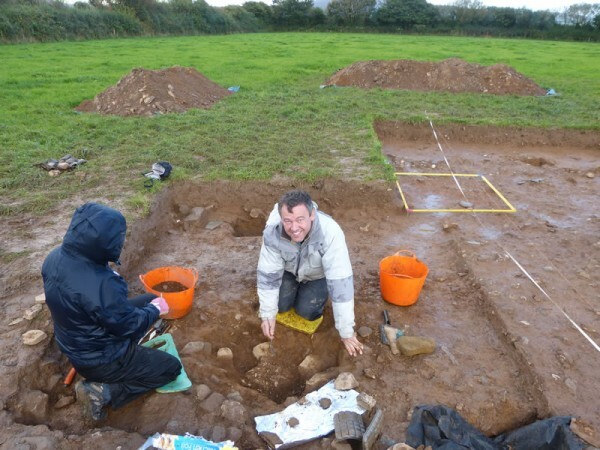 As a result I am a member of the Wiltshire Archaeological and Natural History Society and their associated field group. I am also a member of the Council for British Archaeology and the Prehistoric Society. Membership of all these groups includes regular newsletters, magazines and journals. I have been extremely fortunate to be involved in several archaeological digs since my graduation. The first was in Pembrokeshire with George Nash. 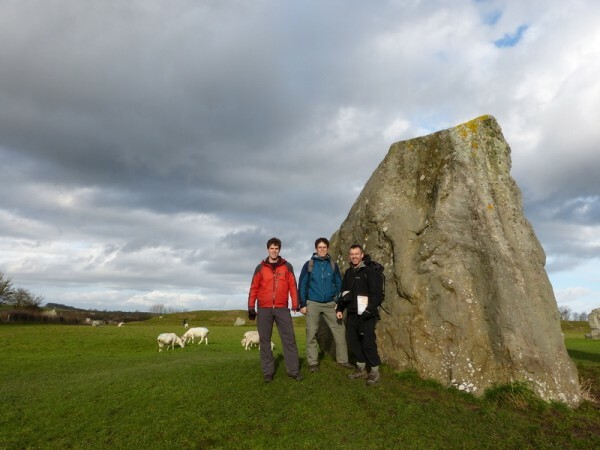 The research aim was to confirm that the Trefael Stone was once the capstone of an ancient burial chamber. It was. 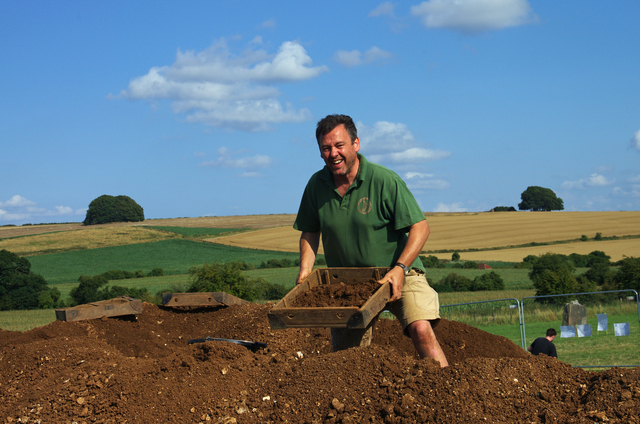 In the summer of 2014 I was a volunteer at the ‘Between The Avenues’ dig lead by Josh Pollard and Mark Gillings. The research agenda here was to verify the presence of a Neolithic settlement site on the course of the West Kennet Avenue. We didn’t, although we did find a lot of material evidence for an early Neolithic presence. I spent the 2015, 2016 and 2017 seasons taking part in excavations with Reading University under the leadership of Jim Leary and Amanda Clarke. We excavated sites at Marden Henge, Wilsford Henge and Cat’s Brain Long Barrow in the Pewsey Vale. And in 2018 I was back at Avebury with Mark Gillings and Josh Pollard. If you would like to see what I have been up to recently please visit the Oldbury Tours Facebook page via the icon below. 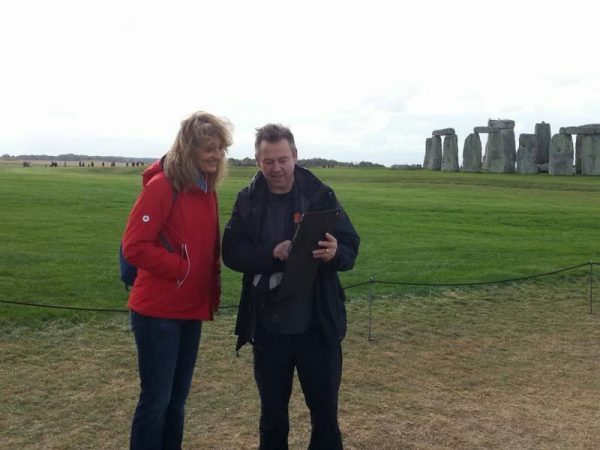 Being part of the team of National Trust guides at Stonehenge has also been extremely beneficial. The volunteer guides are all trained by Dr Nicola Snashall. 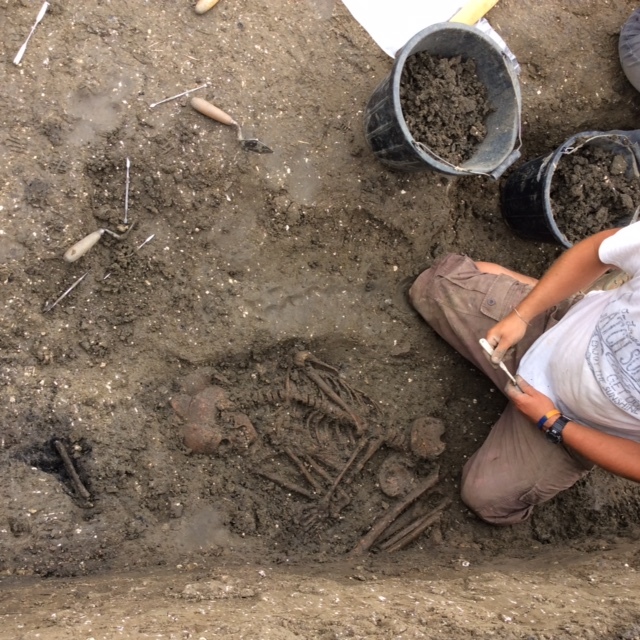 She is one of the National Trust archaeologists along with Dr Ros Cleal for the World Heritage Site. I have learnt an enormous amount from her especially but also from some of the other experienced guides, particularly Mike Robinson. 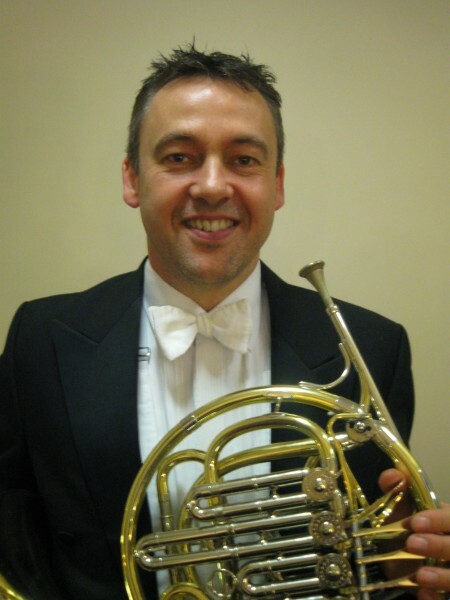 Briefly: as a musician I have spent the last 30 years giving concerts, recording and touring the world as a French Horn player. I reached the top of my profession as Principal Horn of the Philharmonia and the Royal Philharmonic Orchestra. I left the RPO in January 2018. The soundtracks to a lot of films are recorded in London and I have played on a fair few. These include, for example, the last five James Bond films, Harry Potter films and The Pirates of the Caribbean. More recently I am playing on Gravity, Vice, Mary Poppins, Aladdin, Dumbo and Avengers: Endgame. None of this is particularly relevant to my role as a tour guide you may think. However, my orchestral touring has enabled me to visit over 100 World Heritage Sites on 6 continents. Moreover I have learnt first hand how to be a tourist. Throughout this time I have never lost my passion for reading. And I have certainly had plenty of travel time to pursue it! As part of this website we have included articles about the main places we visit on our tours. Reference is made to several authors when talking about the monuments and sites of importance. The idea behind the tours, and therefore these articles, is to link local knowledge and enthusiasm with the expertise and research of professional archaeologists. The books, pamphlets and articles referenced contain the most up-to-date science available having mostly been written in the 21st century by foremost archaeologists of our day. We recommend them for further reading in the bibliography. Please click on the button here to see the list. 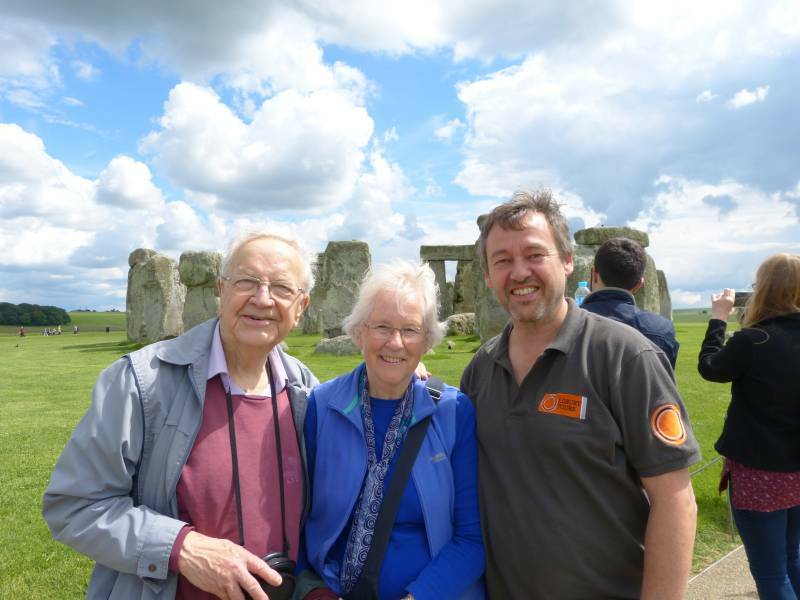 Click on one of the buttons below to go to Oldbury Tours’ home page, to read some tales of recent tours, to read why we think you need a guide, or to enquire about a tour for yourself. We look forward to showing you around. What else is there in the area and do we go there? Most people who choose to spend a day or two with us have broad interests and fortunately our immediate area provides enough variation to satisfy everyone. 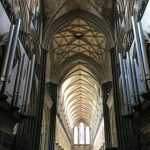 Over the years we have had requests to visit many different places and we regularly include castles, cathedrals, churches, country manors and special cities, towns and villages on an itinerary. Listed below are a few of the varied places we can include on your schedule. You just need to ask. A magnificent example of a medieval cathedral. Built in just 38 years between 1220 and 1258 it is a regular feature on our tours. As well as being an extraordinary building in its own right it also houses the best preserved original copy of the Magna Carta of 1215 in the chapter house. 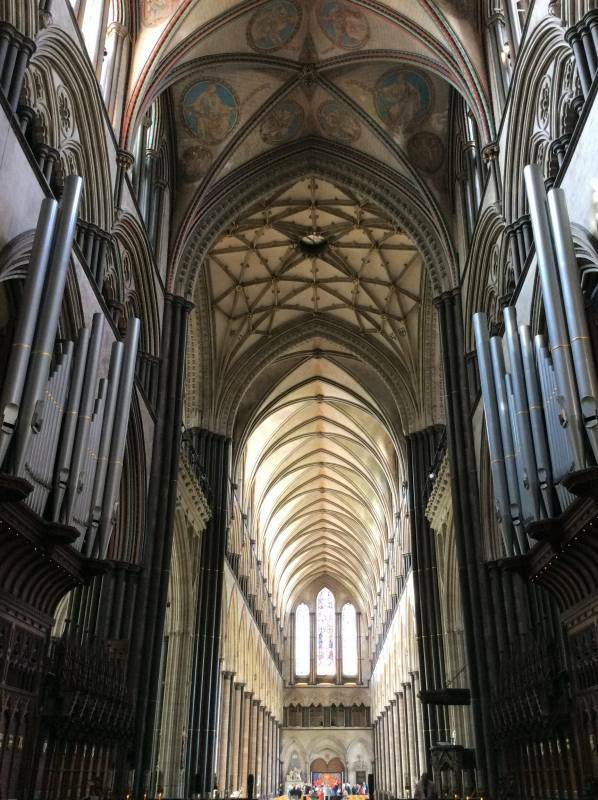 This extraordinary place is the site of the first ‘city’ of Salisbury. The massive earthworks that surround the hilltop date back to the Iron Age and possibly before. There are only the ruins of a Norman castle and cathedral to see now, but this is where William the Conqueror summoned his barons before compiling The Domesday Book in 1086, and where Henry I built his most magnificent castle. The history is tangible and the views are magnificent. © 2019 oldburytours.co.uk. All Rights Reserved.